These are brand new iPad 2 volume and power button internal covers for the version 821-1461-A power and volume button flex cable. The flex cable fits into these and keeps them secure. 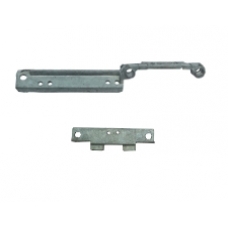 Replace your broken, lost and unusable iPad 2 internal volume and power button metal brackets. * For iPad 2 Only.